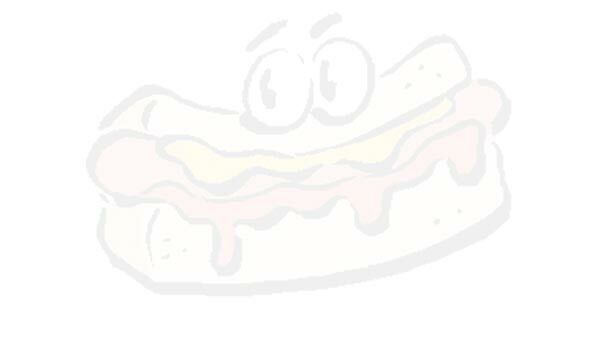 A Jimmy Buff Italian hot dog goes on a quarter of a large roll of Italian "Pizza" bread (sort of a fat pita). The dog is cooked in Hot Oils and then topped with sauteed onions, peppers and potatoes. You can also order a double, which is two dogs on a half a "Pizza" roll. Or you can order Italian Sausage Sandwich which is made the same but with delicious Italian Sausage instead of Hot Dogs. 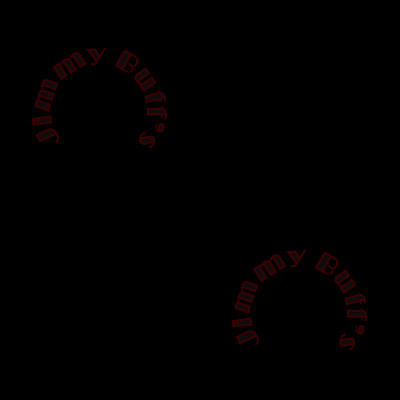 Jimmy Buff's of 14th Ave. & 9th St. in Newark, NJ is where the hotdog with an Italian twist was first concocted by the founder James "Bluff" Racioppi in 1932. Grandpa got his nickname from his style at the card table. Translation from Italian to English came up with the nickname "BUFF". In the 20s and 30s everyone had a nickname and hence James Racioppi became known as "Jimmy Buff". 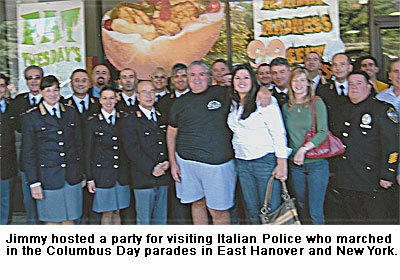 The sandwich was first served as a treat by the Racioppi's for close friends and relatives. It went over so big with them it became the center of their menu and ultimately a customer favorite. 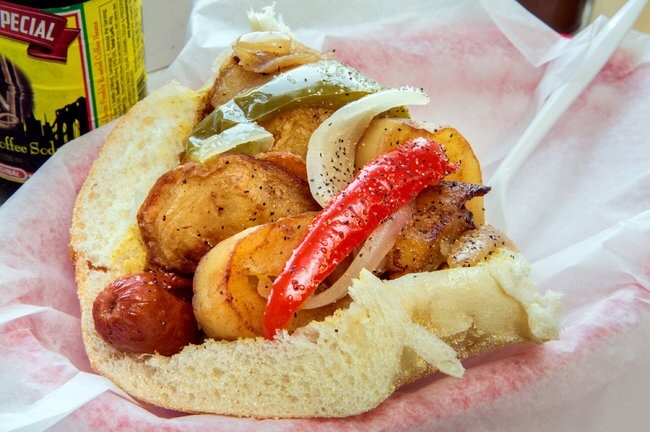 The fresh onions, peppers, and potatoes combines with a hot dog is what allows the speciality its claim to originality. Today, over80 years later, the Italian Hot Dog and it's nearest relative, the Italian Sausage, are the staple fare at Jimmy's Buff's and take turns outselling each other. Does this make your mouth water or what?